A Disclosure, an example, and a plea. Today is a very busy day, so I’m just going to let you know about something important while I have a moment. I give you a disclosure, an example, and a plea. I’ll be leaving early tomorrow morning, on my way to the Diabetes Advocates MasterLab in Orlando. Like I mentioned earlier, it’s a one-day advocacy workshop, and I’m looking forward to learning something new and getting my big A on. I have to admit to being a little less than transparent about this trip up to now. I would have mentioned this earlier, but to be honest, I completely forgot about it. I haven’t really had to disclose this kind of thing before. The truth is I’m going thanks to a scholarship provided by Diabetes Hands Foundation. If not for DHF, I wouldn’t be making this trip. I’m usually the guy helping others make a trip like this. But… a lot of unexpected things have happened here this year, and as a result, there’s very little wiggle room left in the budget. So thanks Diabetes Hands Foundation. I’m grateful, and I’m really pumped about this. I found two more on Sunday and added them to this one. I’m not sure about the measure of advocacy involved here, but I did manage to make my feelings known about this practice by doing something tangible. The point here is, we don’t always need to come up with a great idea on our own. Sometimes, all we need to do is pick up on someone else’s idea and do the best we can. 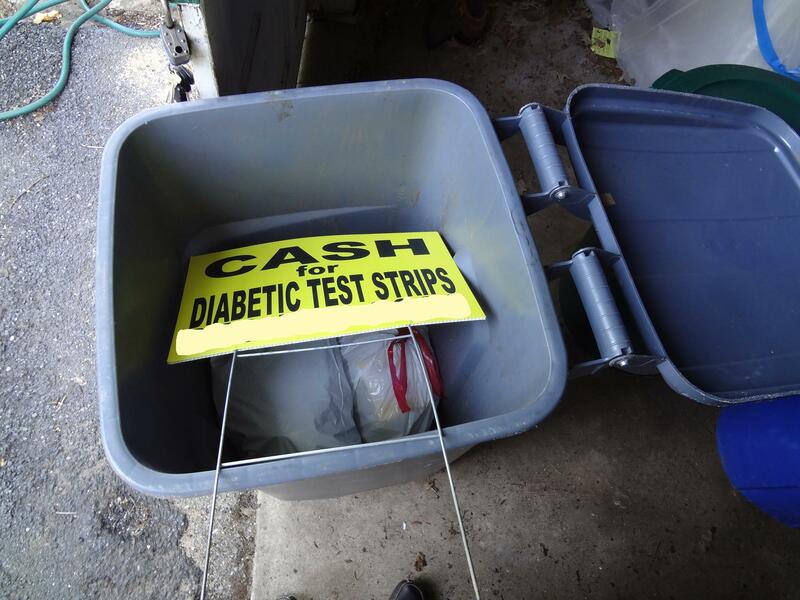 I really hope that there are no opportunities for diabetes advocacy where you live. That would mean that your D-world is fantastic and welcoming and helpful. Unfortunately, where the rest of us live, there are plenty of opportunities for advocacy. They aren’t all big, earth-shaking initiatives. But if you think about it, I think you’ll find a place where you can really make a difference. You know, there are many (and by many, I mean a LOT) of great organizations that help make lives better for People With Diabetes, bring people together who are living with and affected by diabetes, and provide funding to help bring important innovations to the forefront that help us live longer, healthier lives with diabetes. I encourage beg you to consider making a contribution to your favorite diabetes organization today. Whether it’s by volunteering, by making it your career, or by giving money, every small seed of support you plant today helps the Diabetes Community grow stronger and better tomorrow, and for many tomorrows to come. Thank you. And enjoy your week! Clinical trial participation: The one helping the many. This post is appearing today over at the Diabetes Community Advocacy Foundation website. Clinical trials… what’s the big deal? Everyone knows that clinical trials are important. What about clinical trial participation? Full disclosure: I’ve participated in three clinical trials in the past year, the last testing an artificial pancreas device. More on what that means to me below. There’s absolutely no question that research and discoveries that happen as a result of clinical trials is of great importance to all of us living with and affected by diabetes. That means that participants in clinical trials are a vitally important part of the research and development process. Critical clinicals, if you will. Don’t believe me? Think about the important discoveries that would not have been made available to the general public without the assistance of clinical trial participants. Insulin pumps, continuous glucose monitors, meters and test strips, long-acting and fast-acting insulin. Better syringes, infusion sets, reservoirs, and sensors. None of these could have made it to our D-lives without clinical trial participants who made it their mission to try them first. Those are just the good ideas that made it through the testing and approval process. What about the bad ideas? If not for clinical trial participants, bad ideas would… well, I don’t want to think about it. Let’s just say that without patients willing to play an active part in discovery, we might not know the good ideas from the bad ideas until it was too late to do anything about it. As one of the doctors on my last clinical trial put it, there is no bad data. All data is good if it helps us get to a great conclusion. Who is the source of that data? Right… patients who participate in clinical trials. Need another reason to participate? How about the great feeling that comes from taking an active part in making things better for people living with diabetes? Many of us don’t have the resources, the networks of supporters, or the money to take on meaningful advocacy initiatives on our own. But your participation in a clinical trial means that you, just one person, can help make a difference for more people than you’ll ever know, and for a long time to come. Oh, and the money thing: Many entities compensate patients for participation in clinical trials. Don’t expect to get rich. But if you need an extra incentive, there it is. In addition, patients who participate are screened thoroughly prior to the start of any study. Once the trial is underway, doctors and nurses watch you closely. Partly to see how the research is going, and partly to make sure that you, as a patient, are free from adverse reactions or unintended consequences of whatever is being studied. The goal of testing is never to have the study team watch you get worse. If you don’t feel comfortable participating at any point in a clinical trial, you can always opt out at the very moment it begins to be too much. The USA’s National Institutes of Health has a complete list of clinical trials taking place all over the USA, and even some outside of my country. To find them, go to www.clinicaltrials.gov and enter “diabetes” into the search box. JDRF has a very helpful web page that lists multiple sources for registering and finding out about clinical trials. Just go to www.jdrf.org/research/clinical-trials/ to find out more. If you’ve participated in a clinical trial, or if you are participating in a trial, won’t you leave a comment below? Can you make a word from this? This set of letters appeared in the Scrabble Grams puzzle in one of the local free weekly papers this week. Can you make a word from this set of letters? Actually, I think they were looking for the word “bulbous”. But I get where you’re coming from, diabetes-brain. Don’t forget to bolus for those meals today. Coming to a website near you soon: Best of the ‘Betes Blogs! Thanks to a last-minute decision, Happy-Medium.net will be hosting the June Best of the ‘Betes Blogs! I’m super-excited to host this event, and I’m looking forward to reading the many fantastic blog posts that have sprung up from the Diabetes Online Community this month. This being June 23rd, you have one more week to get your nominations in! 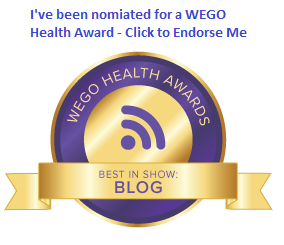 If you’ve come across a diabetes blog post that moved you this month (and I know you have), make sure you help us recognize the writer. You do not have to be a blog writer to nominate. Also: please, no self-nominations; and please, no nominations from this blog this month. 1. Send an e-mail to bestbetesblogs[at]gmail[dot]com. Be sure to include a link to the post you’re nominating. 2. Via Twitter, send a Direct Message to @bestbetesblogs. Be sure to include a link to the post you’re nominating. 3. Go old school and complete the online form located here. Be sure to include a link to the post you’re nominating. As concerned members of the Diabetes Community, we all put ourselves out there telling our stories, informing and educating, and advocating for others every day. Let’s help recognize and reward the thought-provoking, life-hacking, inspirational blog posts that have helped make a difference this month. Then check out this space again for the full list of the Best of the ‘Betes blogs from June. Due to travel and a couple of other things on everyone’s plates, expect to see it on or before July 7th. And in advance, let me say: Thanks for reading, and thanks for nominating your favorites! Advocates: You are making a difference. There are roughly a thousand people who come and go from the building I work in each day. I’ve had the same insulin pump attached to me for over four years now. But no one has ever mentioned it or asked me about it before. In fact, none of my co-workers noticed it at all unless I mentioned it to them, even though it’s clipped to my belt and the tubing hangs out everywhere. Anyway, I said yes, and he mentioned how he’s dealing with elevated glucose recently. He didn’t say Type 2, but as we spoke I surmised (maybe I shouldn’t have) that Type 2 is what he’s dealing with. I should mention that he’s very fit… way fitter than me… and he’s trying to find out everything he can about how to control his BG, and he wanted to ask me about my pump. We talked about our experiences a little while longer, and then both of us, without any prompting, practically blurt out the same things: Diabetes is weird, and it doesn’t act the same every day. A lot of people think that kids are the only ones with Type 1, and only overweight, unfit people have Type 2. This struck me not so much because it’s true (which, sadly, it is), but because of the realization that times have changed if a near stranger understands this early in his (possibly) diabetic life. Hey, there are still plenty of uninformed individuals out there, and we seem to remember who they are. Or what they say. But what about this guy? He hasn’t let anyone sell him a bill of goods. The information he’s getting is right, and he’s comfortable sharing. Don’t get me wrong. I still saw the look in his eyes. The look that says he’s unsure how this is all going to turn out. Even when we’re riding high on the cusp of a sub-seven A1c or a Dexcom no-hitter, we’re still terrified of the possibility of complications and an early death. But I was quite encouraged by the fact that someone took the initiative to find out more about what was happening to his body, and the information he gathered seemed to be pretty good so far. We’re far from a perfect world where all People With Diabetes are accepted and treated with empathy and support, rather than derided and given misinformation. But every once in a while, it’s really nice to see that the message is getting through. So to all of you Diabetes Advocates out there working hard to bring a positive and true message to the diabetes landscape: Know that the word is getting through. Keep up the good great and amazing work. Diabetes Hands Foundation is offering a one day advocacy MasterLab on July 2nd at the Orlando World Center Marriott in collaboration with Children with Diabetes. Registered participants in CWD’s Friends for Life conference are welcome to join the MasterLab as part of their FFL experience at no additional cost. Separate registration for the MasterLab is required. Stand alone registration for the MasterLab is $50 per person. Registration is free if you’re already registered for Friends For Life.